Here is something simple to brighten your home for any occasion! 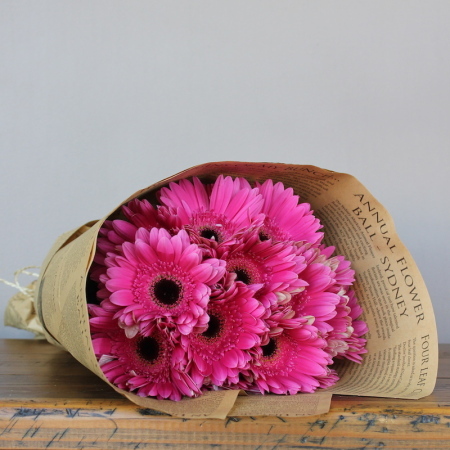 These market fresh rich pink Gerberas are simply bunched together in a bouquet ready to place directly into a vase. These beautiful Gerberas are wrapped in classic brown kraft paper, which has been printed with some interesting facts & tips on gardening and flowers.